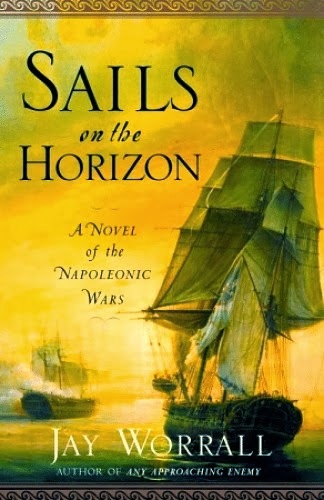 In this naval tale by Jay Worrall, Charles Edgemont, commander of the Louisa, briefly meets Lieutenant Horatio Hornblower. Their encounter takes place in December 1797, during Hornblower's captivity in Ferrol documented in the last chapter of C.S. Forester's Mr. Midshipman Hornblower. Edgemont reappeared in Any Approaching Enemy (in which he briefly encounters Patrick O'Brian's own naval hero Lucky Jack Aubrey) and A Sea Unto Itself. I haven't read the sequels yet, but I will at least read Any Approaching Enemy so I can include it as well.